Cobb County Gas Station Shooting leaves One Person Shot and Injured; Security Failure? Could the shooting at a Cobb County gas station have been prevented and are justice and compensation available to the victim? Gunfire erupted at a Cobb County gas station Friday night, April 12, 2019, injuring one person. The victim nor any suspects have been identified according to the media reports. Gas station and convenience store patrons have a right to feel safe and secure while on the premises. The Murray Law Firm questions the level of security provided on the property and whether this tragedy may have been prevented. Have there been prior violent incidents near or on the property? What security measures, such as bright lighting, visible surveillance cameras and security patrols, were present to deter crime and protect patrons at the time of the shooting? Does the gas station add any extra security during busy times like a Braves baseball game? Generally, property owners are required to protect all those legally on the premises from any foreseeable harm. Should the facts of this matter reveal that the property owner failed to provide adequate security to protect those on the premises, the victim may seek justice and elect to pursue legal claims for their injuries. 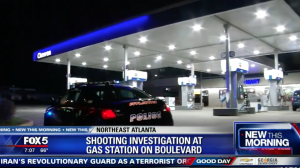 Atlanta Gas Station Shooting at 300 Boulevard SE Injures Man; Negligent Security? Could the shooting at an Atlanta gas station have been prevented and are justice and compensation available to the victim? Gunfire erupted at an Atlanta, Georgia gas station early Monday morning, April 8, 2019, injuring one man. According to Fox5Atlanta.com, “the shooting happened after midnight on Monday on the 300 block of Boulevard SE.” The news story reports “a silver sedan approached a man while he was standing outside his car…the driver got out of the sedan, hit the victim in the head with a handgun, shot him in the abdomen, and then fled the scene.” The victim was taken to the hospital and believed to be in stable condition. There is no word on any suspect identity at this time. Generally, property owners are required to protect all those legally on the premises from any foreseeable harm. Should the facts of this matter reveal that the property owner failed to provide adequate security to protect those on the premises, the victim may seek justice and elect to pursue legal claims for his injuries. Decarlos White Killed in Union City Motel Shooting; Justice for Family? Did negligent security contribute to this tragic motel shooting and are justice and compensation available to Decarlos White’s family? A young man was fatally shot at a Union City, Georgia motel early Saturday morning, April 6, 2019. Detectives are working on warrants for possible suspects according to the media outlets. 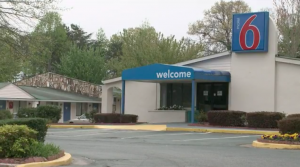 Was the motel aware of any improper activity before the incident occurred? 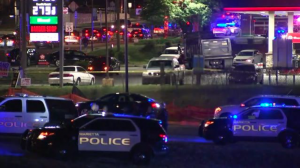 What security measures, such as guarded-entry, monitored surveillance cameras, bright lighting, and visible security patrols were in place to deter crime and protect Mr. White and others at the time of the shooting? Generally, property owners are required to protect all those legally on the premises from any foreseeable harm. Should the facts of this matter reveal that the hotel owner failed to provide adequate security to protect those on its premises, Decarlos White’s family may seek justice and elect to pursue legal claims for his wrongful death. Based upon its prior successful experience in handling security negligence claims on behalf of victims and their families, The Murray Law Firm suggests that photographs and a thorough, unbiased inspection of the property will need to be performed immediately, before any evidence may be repaired, damaged or destroyed. Given the complexities of pursuing a negligent security case, it is imperative that Mr. White’s family retain an experienced attorney who can ensure the preservation of any and all evidence that may support such a claim.